Hey there! Lindsey here. 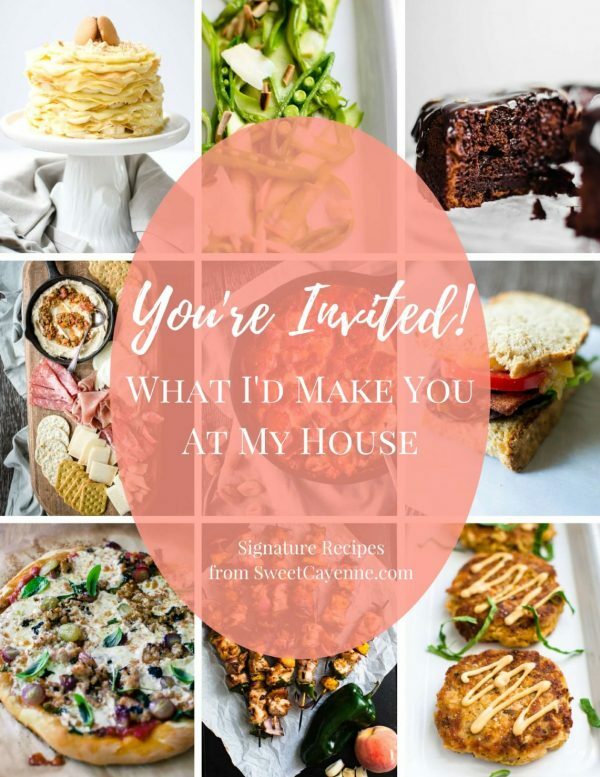 I’m excited to be writing my first DIY post for Sweet Cayenne! Today I will show you how to make DIY Coffee Cup Candles. Let me start this by saying that I’m one of those people who would rather buy something than make it myself. I frequent Pier One more than Michaels. I’ve never been a fan of arts and crafts or DIY projects. Mostly because I don’t have the patience or attention span to learn! But now that I’m contributing to this blog I’ve had more motivation to try my hand at some projects, and I’m starting off easy with some coffee mug candles. I’m a lover of coffee and therefore a collector of coffee mugs. I also have a slight obsession with candles; so to me, this was a perfect first-time DIY project. And let’s be honest, we can pretty much all agree that mugs and candles make great gifts, so why not combine them? If you’re looking to give a cute gift or you’re like me and just want an easy DIY project, then definitely give this one a try! 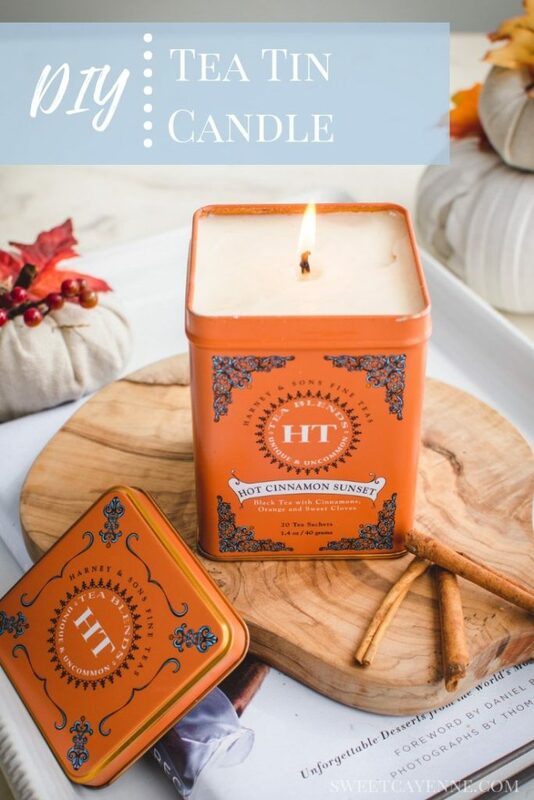 If you are short on time though, take a look at some of my favorite candles from Anthropologie – You are sure to find something there you’ll love! – A cute mug (you may see a theme here – Yes, Anthropologie is a fave). – Candle wax flakes, or an old candle you already have (you can melt it down or shave it yourself). You will need enough flakes to fill your mug up TWICE. 1. Fill the pot halfway with water and bring to boil. 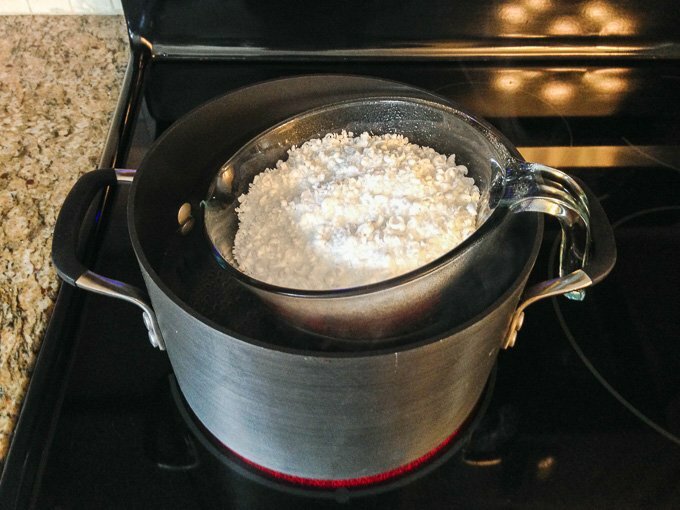 Place the glass bowl or smaller pot full of wax flakes in the pot of boiling water and wait for the wax to completely melt. I had a lot of flakes, so it took mine about thirty minutes on medium to medium-high heat. 2. While your flakes are melting, get your mug ready! 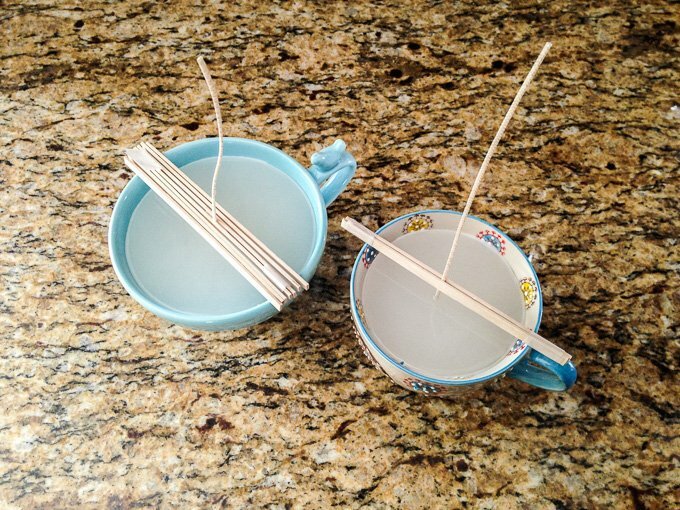 Place the candle wick in the center of the mug and keep it standing and centered using whatever wooden utensils (i.e. pencils, chopsticks) you have on hand. This is when the scotch tape comes in handy. 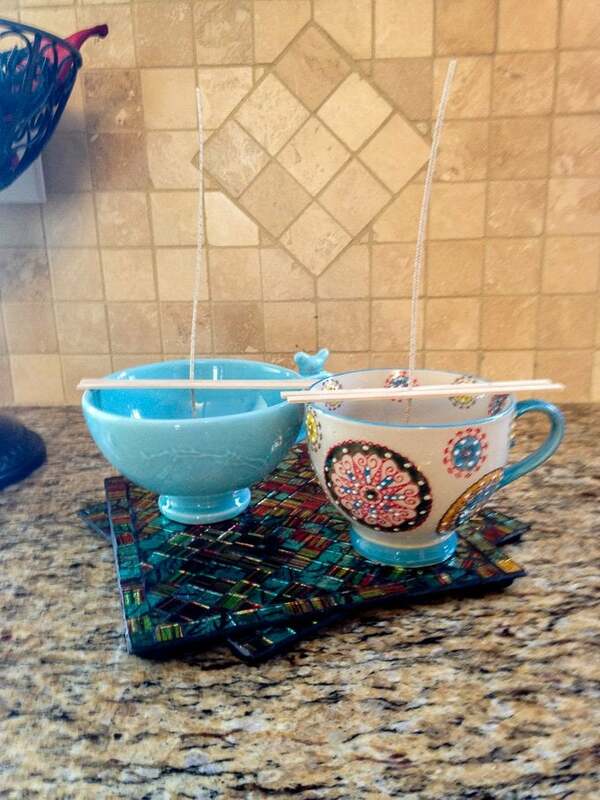 You can tape the sticks together or to the mug to help it stay in place. 3. Once the wax flakes are completely melted, remove the smaller pot/bowl from the water and stir fragrance into the melted wax. I used about half a bottle of lavender fragrance oil. It smelled strong but once your candle is finished the scent will be much lighter. 4. Immediately pour the wax into your mug, being careful to keep the wick centered. Don’t move your mug around once you have poured the wax! 5. Wait! If you chose to melt or shave down an already-made candle, it will not take as long to set. If you used wax flakes, wait about 24 hours before moving the candle to be safe. 6. Trim your wick and light away, my friend. Stay tuned for future simple DIY projects from this non-DIYer. And to all my friends, I hope you like coffee mug candles because they may just be what’s wrapped up for you next Christmas or birthday. For a more in-depth tutorial for making candles at home, see this post on a Homemade Tea Tin Candle! 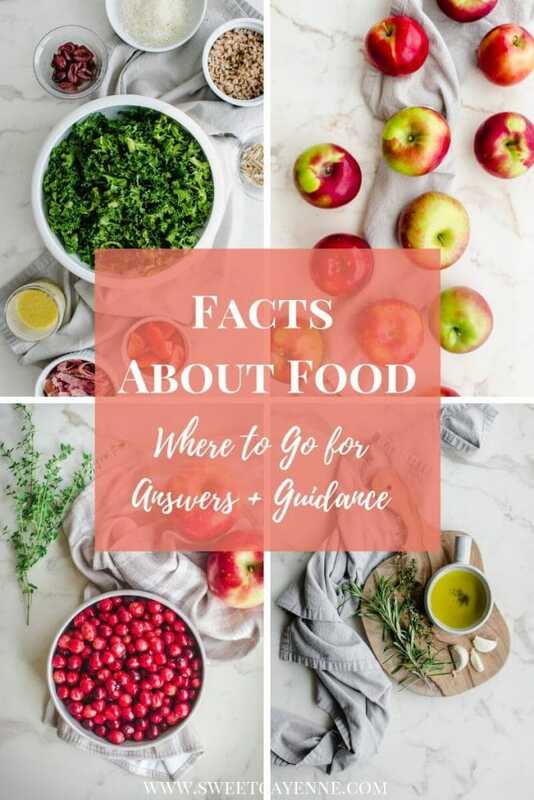 If you are new here, just a little background on what Sweet Cayenne is all about – Most of my posts are related to food, however, I do lifestyle, beauty, and travel posts from time to time. If you like what you saw, you can sign up for my weekly email list here. 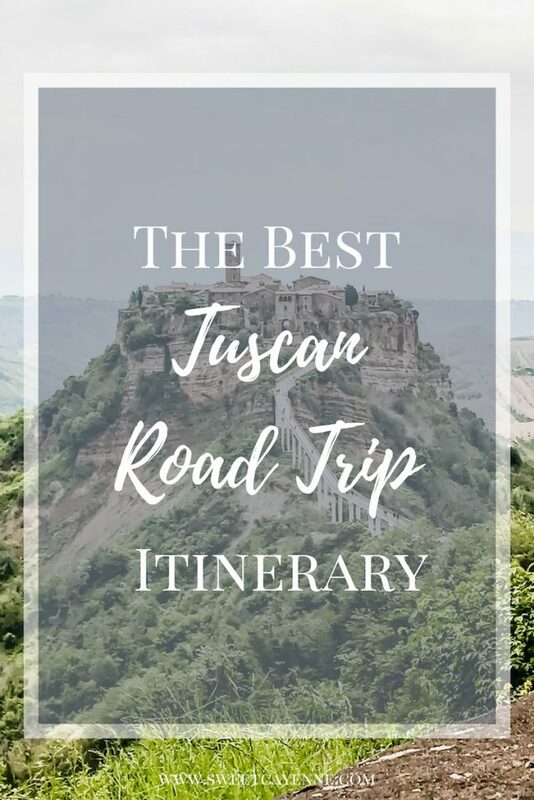 Also, you can check out a few of my other posts. These might be of interest to you: Back Pocket Chocolate Fudge Cake, Peach BBQ kabobs, Frugal February, Signature Nail System Manicure. 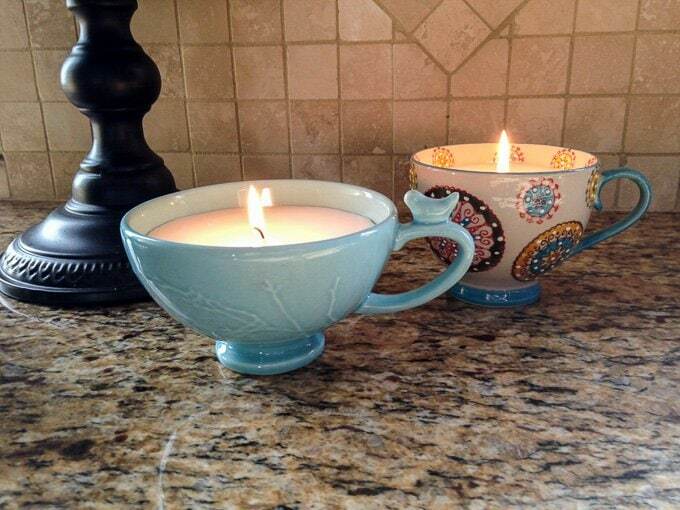 Did you decide to try your hand at making a Coffee Cup Candle? Please let me know by uploading a picture to Instagram or Twitter with the tag @sweetcayenne5 or by posting a comment below. You can also find me on YouTube and Facebook. Ok, this may be a silly question, but can you use the mug for coffee when it’s done?! Maybe if you use beeswax since it’s food grade? Hi Allie, great question! You actually can reuse the mug, depending on the type of wax you use. I recommend using a soy wax, because it is 100% biodegradable and eco-friendly. Also, choose an essential oil blend for your scent. To reuse the cup, simply soak the mug/cup in hot soapy water until the remaining wax at the bottom melts off. The wick should come off easily if it was adhered with a hot glue gun. I’ve repurposed many teacup candles for drinking this way. Hope that helps! Can you add solid things to these candles like coffee beans? I’m sure you can – I’ve seen pictures of this but have not tried it myself. Does anyone have any issues cleaning the wax out of the glass jar after pouring it into the mug? I pour it through a funnel to make a clean pour. If any is spilled on the jar I just dab it off with a damp warm paper towel. Can you add solid things like coffee beans to the wax for looks? I want to make these for Christmas gifts with coffee scent. And also, do they sell the fragrance oil in michaels or ac Moore type stores? Thanks! You can add solid things like coffee beans and dried herbs. I have yet to try this myself, so I’m not sure how this works. I’m afraid to much addition of solids will result in them sinking to the bottom of the wax. This was so fun! I went the lazy route and divided the wax of a bath and bodyworks 3 wick candle in to 3 separate dollar store coffee mugs. The candle sliced like butter AND the bottom of the wicks have sticky pieces so it’s not as hard to keep the wicks centered and straight in the cups. This route wasn’t as diy as the original post but I got the candle during a promo and only paid 10 bucks for it so this seemed like a win to me for 3 small gifts! I love the idea, and have tried it three times now. Each time, my candle has sunken a lot around the wick area… I’m not sure why. Any thoughts or suggestions on how to prevent this? I think the finished candles look prettier when the wax looks smooth and level on top. My candles look fine for an hour or so after I pour them, but then the center slowly sinks as the wax hardens. Hi Deanna! Thanks so much for the comment. I have had that problem as well a few times. After some research, I’ve found it has a lot to do with the temperature of your wax when the fragrance is added to the wax and the temperature when the wax is poured into the cup. From what I read on http://candlescience.com (my go-to candle resource), the wax must be 185 degrees when most fragrances are added to it and then at 135 degrees when it is poured. To achieve this, I use a thermometer to check temps throughout the process. I keep heating the wax until it gets to 185 to add my fragrance, then I continually stir until it cools down to 135 to pour it. Hope this helps!!! I’m not familiar with those candle warmers, Emily, so I’m not sure! Hi, so you need two tea cups full of wax chips to fill one tea cup with melted wax? Sorry! Just trying to figure out how much I need to buy. Hi Megan – yes, that is correct. The amount of wax you need will vary on the size of your cup, so fill the cup up with wax twice, and add the wax to a separate bowl to melt it. Hope that helps! Hi Jessica – I’ve purchase candle wax flakes at Hobby Lobby in the past and my sister has purchased it at Michael’s craft store. The place I use to source my wax now is candlescience.com . Hope that helps! how many teacup candles(just roughly since they vary in size) does the 2 lb hobby lobby one you linked to create? Hi Toni – In my experience, a typical china teacup takes about 4 ounces of wax. So you could roughly expect to get 8 teacup candles from a 2 lb bag of wax. Hi! Can you use essential oils for this type of candle? Hi Katie, You can use essential oils to make soy candles. However, the amount you use will depend on the concentration of your oil. It may take some playing around with. If you add too much, the candle may not solidify. I’d start with a few drops of oil and play around with it. Hope that helps! What about adding color to the candle? I was wondering if adding food coloring would just screw it all up or not. lol. Hi Tiffany! I haven’t had any experience adding color to my candles, so I can’t speak to how that would turn out. I do know that Hobby Lobby and candlescience.com do sell colored dye chips specifically made for adding into melted candle wax, so I would look into those if you’d like to make a colored candle! U can melt a Crayola crayon for your color.. I use a small piece of crayon to colour mine. Just be careful not to add too much the colour goes a long way, I usually start with about 1/8 of a crayon. That’s so great to know, Liza! I will have to try the crayon trick myself! Don’t use food colouring! I tried that and it just balls up and ruins it. I use a small piece of crayons, be careful with how much you use a little goes a long way. I usually start with about 1/8 of a crayon. Can it be any type of coffe cup or mug? Will they crack from the heat of the flame? I don’t understand what you mean by filling it up twice? You mean it will be filled and then harden and then refill it later? Hi Elizabeth – you fill your mug with wax flakes twice to figure out how much wax needs to be melted. In other words, measure out two coffee or teacup fulls of wax flakes into the bowl you are going to melt them in, and that’s how much melted wax will end up being poured into your mug. Does that make sense? That’s great, Leanne! We try to provide exact measurements whenever possible. However, for this particular project, we could not since the amount of wax people will need depends on the size of the mug or teacup they plan to use. Thanks for reading! Hi. I make candles, soaps and a lot of other items so I definitely know the places to order from. Good call on Candle Science, they do have amazing fragrances. I just wanted to let you know another fantastic place is Peak Candles. About every other month they have a fragrance sale where all are 15% off. I’m trying to order the flakes online but it’s measured in lbs. Any idea how much I will need for 1 average sized cup? Also, where did you buy yours? And where did you buy your wicks? Hi Tessa! We bought our candle wax and wicks at Hobby Lobby – I added links to the products under the “you will need” section of the post where the directions for making the candles begin. I’d recommend candlescience.com for fragrances! All flake containers are usually measured in pounds, and the amount you will need really depends on the size of the coffee mug you are using. You will want enough flakes to fill your mug up twice, so I’d buy a 4lb. bag, fill your cup up twice with flakes, and then save the rest of the flakes for the next time you want to make a candle. Hope that helps! What size fragrance oil bottle did you use?? Hi Ashley – Lindsey used half of a three ounce bottle of lavender oil for the two 8-ounce mug candles. So 1 1/2 ounces of fragrance for two coffee cups!